Most of us are afraid of conflict. We find ways of avoiding it or solving it without really having to deal with it. Often all that we do to avoid the conflict can cause more problems that the conflict itself. Perhaps, if we changed the way we see conflict it would change how we respond to it. Dr. David Schnarch is a famous relationship therapist who has written a lot about relationships and conflict. He says that every relationship is like a crucible. 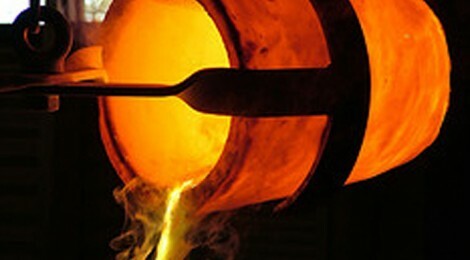 Crucibles primarily do two things: they get REALLY hot AND they refine, or burn off impurities. Intimate or close relationships also can get REALLY hot (that’s the conflict) and it is this heat, or conflict, that can serve to refine…they help us grow…as individuals and also in our relationships. The idea is that if we see conflict as a chance to grow, mostly ourselves as a person, but also the relationship, then we will respond to conflict in a very different way. Using conflict as a chance to grow requires something of us as individuals. It requires that we learn to self-soothe so that we can tolerate the heat (conflict) in the first place. If we run away we will never have the opportunity to receive the gifts that conflict can actually bring. You can “run away” in a variety of ways and most of it looks like acting out as a child. You can bite the person’s head off, start a silent treatment, slam a door, or, in fact, leave. I want to stop here and say that “staying in the heat” never means to endure abuse of any kind. It also doesn’t mean foregoing sleep or other self-care. Sometimes “staying in the heat” of conflict means being able to say “good night” and wait to keep discussing the issue. Sometimes it means taking a break with a plan to come back and continue the discussion. Conflict has so much to teach us and mostly about ourselves. What triggers us? What are we overly sensitive about? What reminds us of past wounds? What are our prejudices and biases? My challenge to you is the next time you get into some “heat” with someone you love, rather than inspecting them, take time to inspect yourself. What is going on inside of you? What do you have to learn through this situation? What are you learning about self-soothing? What is it that you really want to share with your loved one? In close (and safe) relationships, resolving conflict often involves some vulnerability. It requires us to slow down and do some introspection. It requires us to be willing to do some growing of our OWN, rather than just demanding the other person get it together. The next time conflict in your life takes place, whether it is at home or at work, try to see is as an opportunities for you to be refined in the heat of the crucible. Whether you decide confronting the conflict with the other person is “safe”, appropriate or not (in some situations it isn’t), you can still use the experience to learn some things about yourself. Fear often blinds us. Don’t let fear steal the growth opportunities available in the crucible of conflict by blinding you in the moment. Well, that was incredibly timely! Sigh… Just one question, how does one ‘self-soothe’? Donna, that is a very good question! It makes sense that someone would ask that. I plan on doing a separate post on it soon.